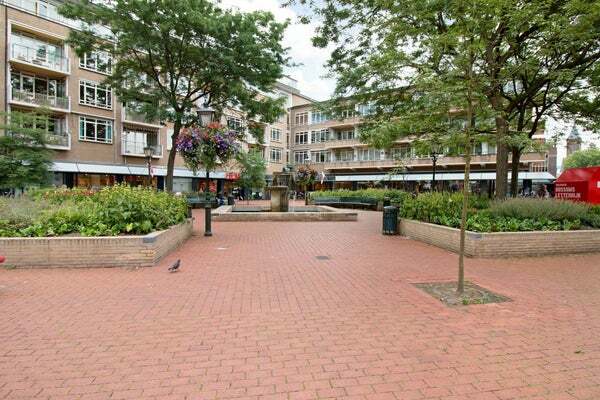 Conveniently located in the center of Bussum spacious 2-room apartment (third floor) with shops, restaurants, recreation (forest and heath) within walking distance. There are also excellent car and train connections to Schiphol, Amsterdam and Utrecht. Layout: entrance, hall with meter cupboard, neat kitchen for example fridge / freezer, 4-burner stove and hood, spacious living room with dining room, toilet, spacious bedroom, bathroom with shower, sink and washing machine connection. - the entire apartment is, for example, a laminate floor.